'Gandang Gabi Vice' Debuts at No. 1 in Mega Manila! 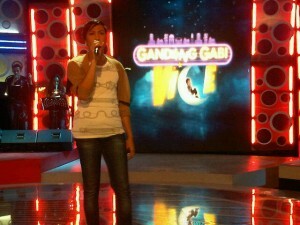 The newest comedy TV program of Vice Ganda called "Gandang Gabi Vice" which started last Sunday took the No. 1 spot in Mega Manila! Actually this stand-up type comedy TV show was very much accepted by viewers. Even in the nationwide TV rating race, "Gandang Gabi Vice" got a higher rating. People even appreciated the whole show specially the charisma of Vice Ganda in entertaining the people. Meanwhile in the weekday Primetime rating, "Mara Clara" and "100 Days To Heaven" alternately taking the the lead.